Should You Bring Your Partner to Your Holiday Work Party? The holidays are quickly approaching, which means your calendar will soon be filled with holiday-themed work/personal party commitments. Jess sat down with Jeff and Carolyn this morning to address more viewer questions based around holiday work parties. 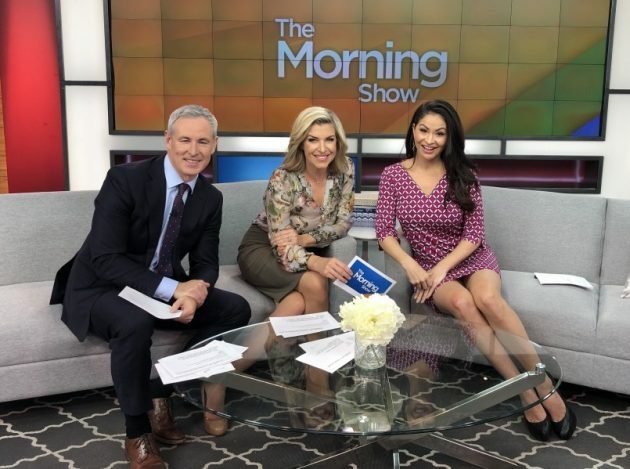 Read her expanded notes and watch her appearance on Global TV’s The Morning Show below. I just started dating this guy and we really hit it off but it’s only been a couple month. Is it too early to bring him to a work holiday party as my plus one? There’s also a lot of family functions coming up, when should I introduce him to my family? 1. Are other people bringing their significant others to the party? Just because they’re married doesn’t mean they’re more entitled than you to a free meal for a guest. 2. Do I know him well enough to know how he’ll behave with an open bar in a professionally-related setting? 4. Am I comfortable with blending my personal and professional life and do I want my co-workers to get a glimpse into my dating life? If they’re top-of-mind, they’ll also be the topic of conversation. And it’s likely that your family will ask to meet them if you tend to speak of them often and fondly. This is a good sign and it’s important to note that your partner’s relationship with your family can affect the longevity of your relationship. Your future with your partner is not only about the two of you — your friends and family are relevant to your relationship, so if you’re planning any big changes (e.g. moving cities, moving in together), it’s wise to introduce them to the people with whom you’re closest. This is a good sign for your relationship. It’s easy to be excited and passionate about a new partner and falling in love is the simple part — really liking your partner, however, is far more important than the passion itself, as we cannot exist in a constant state of passion. They’ve Already Met Your Friends. If your new partner clicks with your friends, it’s good for the relationship. The “social network effect” suggests that stability in our romantic relationships increases when we have approval from friends and family. They’re Asking to Meet Your Family. Their enthusiasm speaks volumes about their feelings toward you and your relationship. If they’re asking to be included in family gatherings, it’s a good sign that it’s time to take them along. If they’re keen to welcome you into their family, hopefully, you feel the same way! Let your family know that you’ll be bringing them ahead of time so that there are no surprises. Text photos of the two of you together to your parents (or post them on social media where they can see them) to take advantage of the mere-exposure effect which suggests that humans find familiar faces more likable. If you have a large family, brief them on your siblings’ names and let them know how your parents like to be addressed (e.g. are they comfortable with your friends’ using their first names?) in advance. Consider planning a short visit as opposed to a sleepover if possible — the holidays and large groups of new people can be overwhelming, so a short visit may help them to ease into your family and their traditions. If a sleepover is required, be sure to talk to the host about sleeping arrangements in advance. It doesn’t matter if you live together or have been sleeping together for years; the rules of the host’s house apply regardless of your age. I had a little too much holiday cheer at the company Christmas party and although I didn’t cross a line, I’m a little embarrassed about some of my actions. Should I talk to some of my co-workers about what happened and try to repair those possibly damaged relationships or just pretend it didn’t happen? You are almost always better to communicate regret and/or an apology than to pretend something didn’t happen. In showing vulnerability, you’ll be more relatable and likable. An apology opens the line of communication, helps to rebuild trust, repair relationships and improve future interactions. 1. Accept responsibility and don’t make excuses. Alcohol is never an excuse. 2. Explain why you want to apologize and acknowledge how your actions may have caused harm to the other person. 3. Ask them what you can do to make amends. Ask if they would like anything from you at this time. 4. Plan for the future: make a commitment to ensure it doesn’t happen again and when possible, explain how to intend to follow through with this commitment.